Unveiled with great fanfare on July 18, 2005, the Indo-U.S. nuclear deal was touted as a major transformative initiative. But on its 10th anniversary, the deal’s much-advertised energy, technological and strategic benefits for India still seem elusive. Indeed, the deal has yet to be commercialized. The premise on which it was founded — that India could build energy “security” by importing high-priced, foreign fuel-dependent reactors — was, in any case, a pipe dream. The deal, given the heavy political investment in it, will eventually be operationalized, however belatedly. It will take a minimum of 10 years thereafter for the first nuclear power reactor under the deal to come on line. After all, the international plant-construction time frame, with licensing approval, now averages at least a decade, with the vast majority of reactors currently under construction in the world plagued by serious delays and cost overruns. For example, the Areva-designed plant in Finland, on Olkiluoto Island, is running at least nine years behind schedule, with its cost projected to rise from €3.2 billion to €8.5 billion. The Russian-origin plant at Kudankulam, in Tamil Nadu, took 13 years to be completed, with the second of its two reactors yet to be commissioned. In this light, the deal is expected to deliver its first commissioned reactor a generation after being signed. But if reactor imports are to be governed by “technical and commercial viability,” as Prime Minister Narendra Modi has declared, not a single contract would be feasible. The stalled negotiations with Areva over the price of power suggest that the deal’s commercialization would be dictated neither by technical nor commercial viability but by the extent to which India is willing to fork out subsidies to support high-priced imported reactors of a kind that do not even mesh with its three-phase nuclear power programme. Indeed, it is a moot question whether the deal will ever yield substantive energy benefits, given the exorbitant price of foreign-origin reactors, the concomitant need to heavily subsidize electricity generated by such plants, and the grassroots safety concerns over the Fukushima-type multi-plant nuclear parks that India has earmarked for Westinghouse, GE-Hitachi and Areva, each of which is to sell prototype Light Water Reactor (LWR) models presently not in operation anywhere in the world. The accident-stricken Fukushima reactors, in Japan, were also the first of their kind. Adding to India’s risks from proposed import of prototype models is its plan to induct a multiplicity of different LWR technologies from the U.S., France and Russia. Given the several different reactor technologies already in operation or under development in India, such imports will likely exacerbate the country’s maintenance and safety challenges. 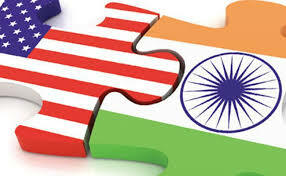 The Indo-U.S. deal — with its many twists and turns — has hogged the limelight at virtually every bilateral summit. The deal took centre-stage even during U.S. President Barack Obama’s January visit. In its arduous journey toward implementation, the deal has spawned multiple subsidiary agreements. Each auxiliary deal has been hailed by an overzealous New Delhi as an important breakthrough and a diplomatic success, regardless of the concessions it had to make or the new obligations thrust upon it. Indeed, it has employed smoke and mirrors to camouflage its concessions. Consider the latest “breakthrough” announced during Obama’s visit: India agreed to reinterpret its own law so as to effectively transfer reactor vendors’ nuclear-accident liability to Indian taxpayers. India is also reinterpreting a provision of domestic law in order to bar victims of a nuclear accident in India from suing for damages in America. Does this yielding indicate that India has learned anything from its bitter experience over the 1984 gas leak from an American-owned Bhopal chemical plant that killed about as many people as the Fukushima disaster? Indeed, Japan’s law, which indemnifies reactor suppliers and makes plant operators exclusively and fully liable, should serve as a sobering lesson for India: GE built or designed the three Fukushima reactors that suffered core meltdowns; yet, despite a fundamental design deficiency in the reactors, the U.S. firm escaped penalties or legal action after the disaster. Supplier liability is a well-established legal concept, applied in many business sectors around the world to deter suppliers from taking undue risks. In fact, U.S. law allows suppliers, designers and builders of nuclear plants to be held legally liable in the event of accidents, although the 1957 Price-Anderson Act channels economic liability, but not legal liability, to plant operators. Internationally, however, America has pushed an opposite norm — that importing countries channel all liability to their plant operators and limit all claims to the jurisdiction of their own courts so as to free suppliers of any downside risks. The nuclear power dream has faded globally. The crash of oil and gas prices, coupled with skyrocketing reactor-construction costs, has made nuclear power’s economics more unfavourable than ever. Few new reactors are under construction in the West, with the troubled nuclear power industry desperate for exports. Even as the global role of nuclear power appears set to become marginal, India stands out today as the sole country wedded to major reactor-import plans. Surprisingly, Modi has placed the nuclear deal, like his predecessor, at the hub of the relationship with America. Washington has long pandered to the Indian weakness for the deal’s consummation, with its decade-long negotiations characterized by shifting goalposts. It made the Modi government yield some ground even on its demand that India accept nuclear-material tracking and accounting arrangements that go beyond the safeguards system that the International Atomic Energy Agency has approved and applied to India’s civilian nuclear programme. In other words, establishing an elaborate bilateral safeguards system, on top of IAEA inspections, in which India will separately track and account for nuclear materials “by flag” (that is, by each national origin). For its part, the U.S. has reneged on several of its 2005 commitments. Gone is the pretence of Washington extending India “full” nuclear cooperation or granting it “the same benefits and advantages as other leading countries with advanced nuclear technology, such as the U.S.” Gone also is the original agreement that India would “assume the same responsibilities and practices” as America. Instead of meeting its commitment to adjust domestic laws and guidelines of U.S.-led multilateral regimes to “enable full civil nuclear energy cooperation and trade with India,” the U.S. actually worked with its Congress and with the Nuclear Suppliers Group (NSG) to bar exports of what India really needs — civilian enrichment and reprocessing equipment and technology, even though such transfers would be under international safeguards. Consider another issue: Years after the U.S. pledged to bring India into the four American-led technology-control cartels — the NSG, Missile Technology Control Regime, Australia Group, and Wassenaar Arrangement — India is still pleading for its admission, with Obama in New Delhi merely reiterating America’s support for India’s “phased entry” into these groups. In anticipation of membership, India had largely harmonized its export controls with the four cartels’ guidelines. It is now filing a formal application for admission to each regime, in the hope that the U.S. would be more forthcoming in its support than it has been so far. Even in the event of India being admitted to the regimes, the technology controls it still faces will not go away. These regimes are designed to harmonize export policies, not to promote technology trade among member-states. Despite the vaunted U.S.-India Defence Technology and Trade Initiative, the U.S. side refused early this year to accept any of the six joint high-technology projects proposed by India, insisting that New Delhi first sign “foundational agreements” on military logistics and communication interoperability that America has designed for its allies in a patron-client framework. The four joint projects announced during the Obama visit were for relatively modest defence products. The key fact is that U.S. non-proliferation policy has yet to treat India on a par with another nuclear-armed country outside the Nuclear Non-Proliferation Treaty fold, Israel. Against this background, why an import deal to generate an increasingly expensive source of energy is critical to Indian interests has never been elaborated by deal pushers in India. They have peddled only beguiling slogans, such as “End of nuclear apartheid against India” and “A place for India at the international high table.” India would be foolhardy to saddle its taxpayers with uneconomical reactor imports, making the Enron dud look small. India’s diplomatic overinvestment in the deal has already made it harder for it to address more fundamental issues with the U.S., including an increasingly one-sided defence relationship. It is past time for India to reduce the salience of the deal in its relations with America. Without being weighed down by the nuclear-deal millstone, India would be better placed to forge a closer, more balanced partnership with Washington. The warming U.S.-India relationship has gained momentum independent of the deal’s future. This entry was posted in Diplomacy, Energy-Environment by Chellaney. Bookmark the permalink.